Giorgio is FOR SALE - refer For Sale Section. Giorgio had a very successful show record. He won 16 Broad Ribbons from junior through to mature classes, in the highly competitive Medium/Dark Fawn class. 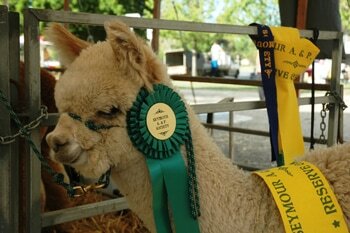 Whilst Giorgio is now retired from showing, he is being represented admirably by his progeny in the ring. 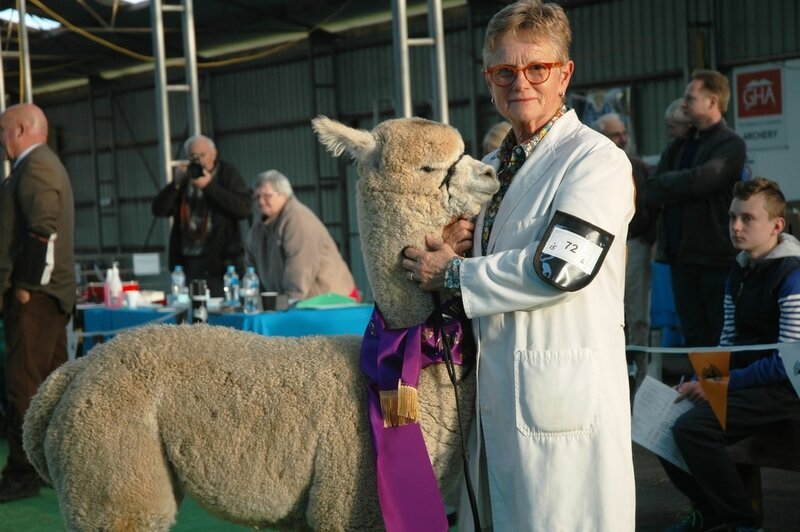 Giorgio’s first progeny entered the show ring in the 2015. They have followed in his footsteps. 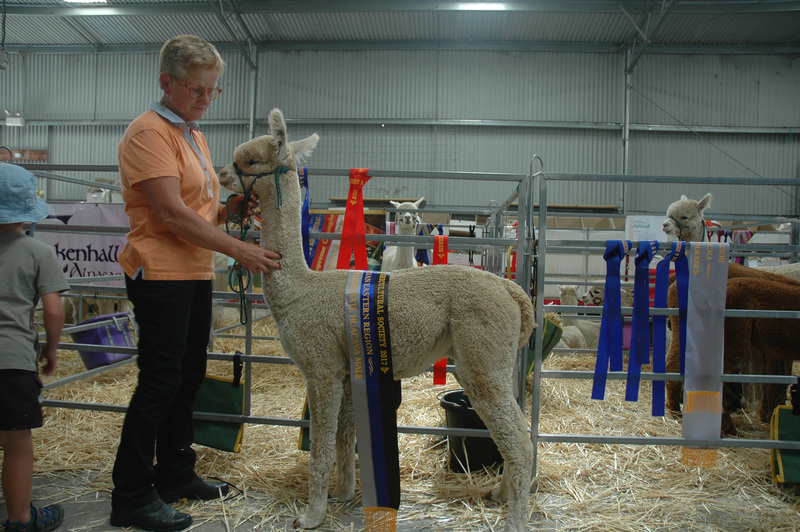 His progeny have won Supreme Colour, Supreme Fleece, Age Championships, first placings at a National level (halter) with broad ribbons at a National level in Fleece classes. 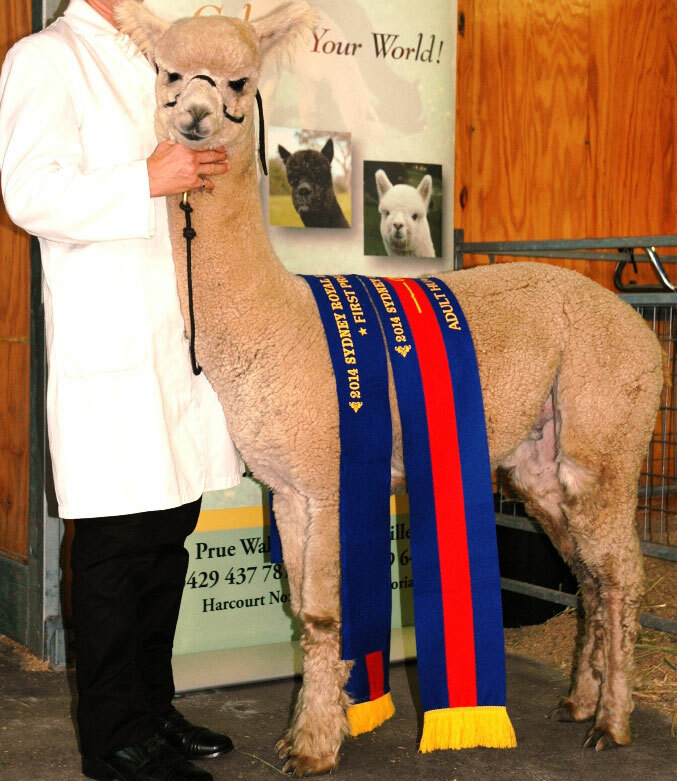 Below are two examples of Giorgio's Progeny. 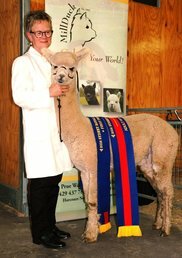 ​Titanium, as a jnr, was seriously considered for Supreme Champion.